Welcome to Best Portable Photo Printer’s guide to the best photo printer. This is the Ultimate Guide to the Best Portable Printer. We’re going to talk about the reasons why you may need a portable photo printer, what features you need, and where the best place is to buy one. 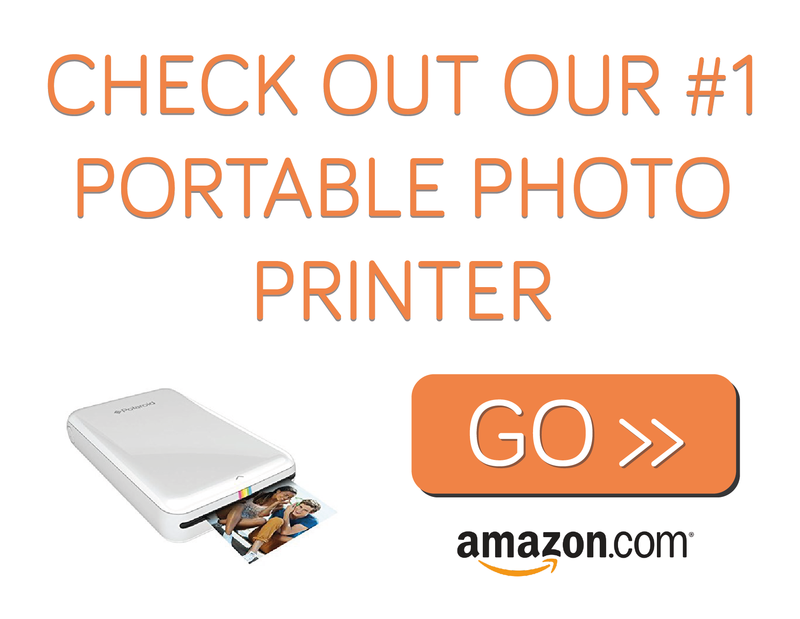 Why Buy a Portable Photo Printer? Photo printers are used to do one thing: You guessed it, print photos. But, finding the best portable photo printer can be a challenge, but luckily we have plenty of information and reviews on the best portable photo printers available. 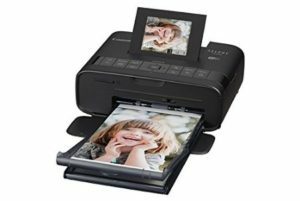 Some photo printers have a colour display, so you can either display the photo you wish to print, or with the addition of a memory card you can skip through photos and pick out the ones you want printed. Although many come with colour displays, the smallest printers don’t, this trade off for a display, lets these printers become extremely portable, some can even fit in your pocket! And the Prynt Case has even fit and portable printer into a smartphone case! Most photo printers have high resolution printing, which is needed when printing high quality photos. The ink cartridges used often have more colour than standard printers, which helps create the vibrant colour of a photograph. Some new models use no ink at all, with special paper to save on the size of the printer. 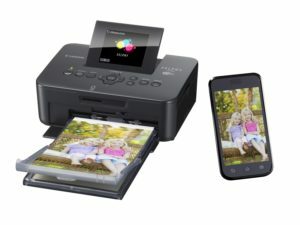 To cut down on size even more, some of these printers have zero ink, instead they use instant printer paper to print fast instant photos, the modern day equivalent to the Polaroid Instant cameras. One of these clever manufactures is ZINK. Many portable photo printers come with software for smartphones and tablets, which are usually compatible with Android and iOS. This makes it a breeze to easily print directly from your phone, and with some of these units being pocket size they can be taken with you just like your phone, so you can snap a pic and print straight away. Best Portable Printer: The Key Things To Look For. One thing to look out for in a portable photo printer is the size of print the unit can handle, some will only print 4 x 6, to larger units that print 8.5 x 11, to some that print even larger photos again. So it’s good to have an idea of what size prints you will be looking at printing. Resolution – Just as important as when picking a cameras mega-pixels, and one of the most important factors on photo quality. The higher the resolution, which is measured in dpi (dots per inch), the better quality the photo will look. Print Speed – For the impatient. Well, the more instant the better but be careful not to trade off resolution (picture quality) for print speed. Unless you are looking for an super instant print then go ahead a purchase the fastest printer. Dimensions – Depends on the need for your printer, if you are looking at a portable photo printer to take with you on a trip or holiday then the more pocket-sized the better. But if you want something that can handle a lot of prints with a built in LCD display, then it will be a slightly bigger printer. Help and Support – Going with a recognised brand like Canon, Polaroid, Fujifilm, ZINK or HP will guarantee great customer service. So that’s our run through of what to look out for when picking the Best portable printer. Here’s our list of the Top Rated Portable Photo Printers. Made to help you pick the best portable printer. The ZIP photo printer is cheap, super fast, and super fun! It has all the charm of the old Polaroid cameras without the fuss. Being from Polaroid it guarantees a quality print. It is also Pocket-Size and weighs only .41 of a pound. 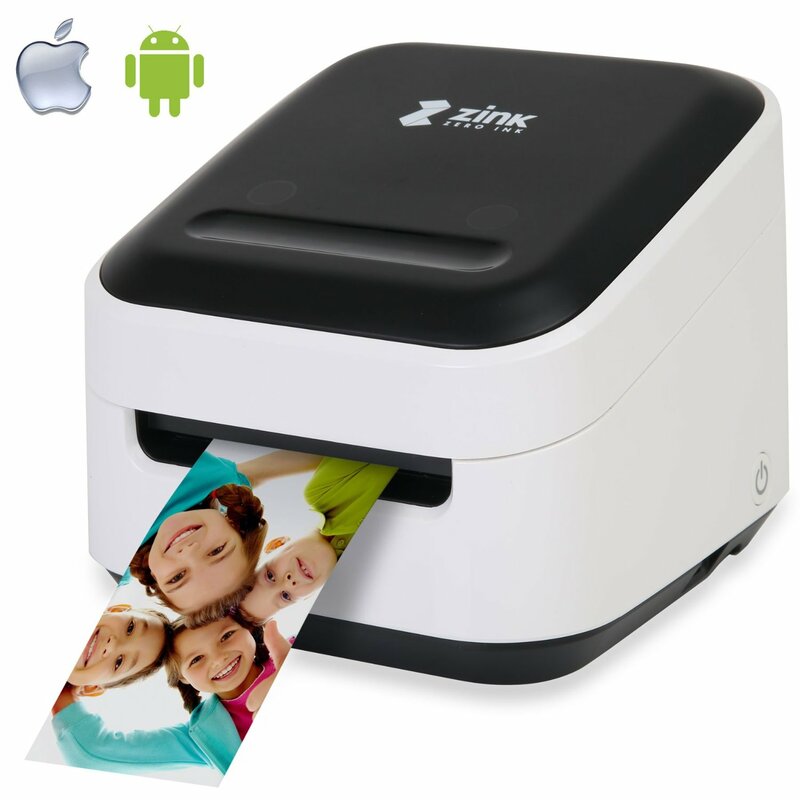 And with Zink Zero Ink technology its a great deal for a great portable printer. Making it our pick for the best portable printer. This printer cleverly named Selphy (“Selfie”) is slightly less portable than most at, but being less portable makes it packed with features and a awesome print quality. With a built-in colour display, optional battery pack (which handles 54 prints at a time), the Cannon Selphy CP1200 is a great portable printer if you want a top of the range product. 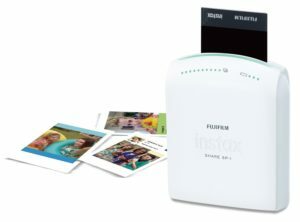 The Fujifilm Instax SP-1 is everything you need in a portable printer. Lightweight, portable, quick and easy to use. Compatible with any smartphone or tablet. This may not be the most stylish but it may be the best all-rounder. 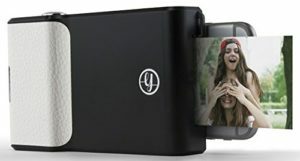 Being easy to use and having an accompanied iOS and Android app, this portable photo printer offers some fun editing and printing. The Selphy CP910 is very simple and super fun to use, it’s a slightly cheaper alternative to its big brother the Canon Selphy CP1200. But this compact device is designed to print multiple products such as postcards, photos, or mini stickers. It supports many different smartphones and tablets, and has a full display, USB ports as well as a card slot to print from SD. The ZINK hAppy has the funnest name of the lot, and is also a very funky design, It prints easily from the ZINK app which works with most smartphones and tablets on iOS and Android. The ZINK printer prints on continuous rolls of paper from 0.375 to 2 inches wide, which automatically cuts. And it’s super easy to change the roll of paper, which being a ZINK zero ink printer is the ink! So no need to change the ink. It also has an optional battery to make it completely portable. This is an extra addition to our list. 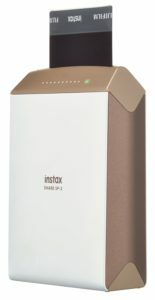 But we had to add it as it could make it to the top of our best portable printer list, as it takes all the best bits of the Instax SP-1 and improves on it. The re-designed body looks great, with more angles and stylish buttons. And the best upgrade of all is its faster printing time at only 10 seconds. This case is super cool, simply attach it to your smartphone and it becomes an instant camera, with a nice little shutter button! Just grab your iPhone take a pic and then instantly print using the inkless printer built into the case. Another feature is when taking a photo with the Prynt case it saves a video on the instant photo which can then be accessed by friends with the Prynt app. Similar to Harry Potter’s moving photos! There are cases and adapters for all iPhones and Samsung Galaxy smartphones. So there is our pick of the best portable printer, check out a comparison of our current favourites polaroid zip vs fujifilm instax. 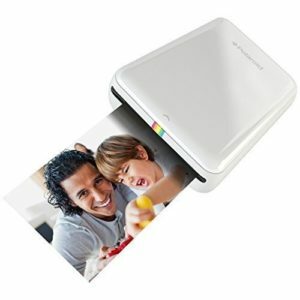 For more photo printer reviews check out our reviews here.